Thank you for calling upon the experts at Mearto to evaluate this elegant Patek Philippe wristwatch. This is the Calatrava wristwatch with a sub-secondhand and leather bracelet. 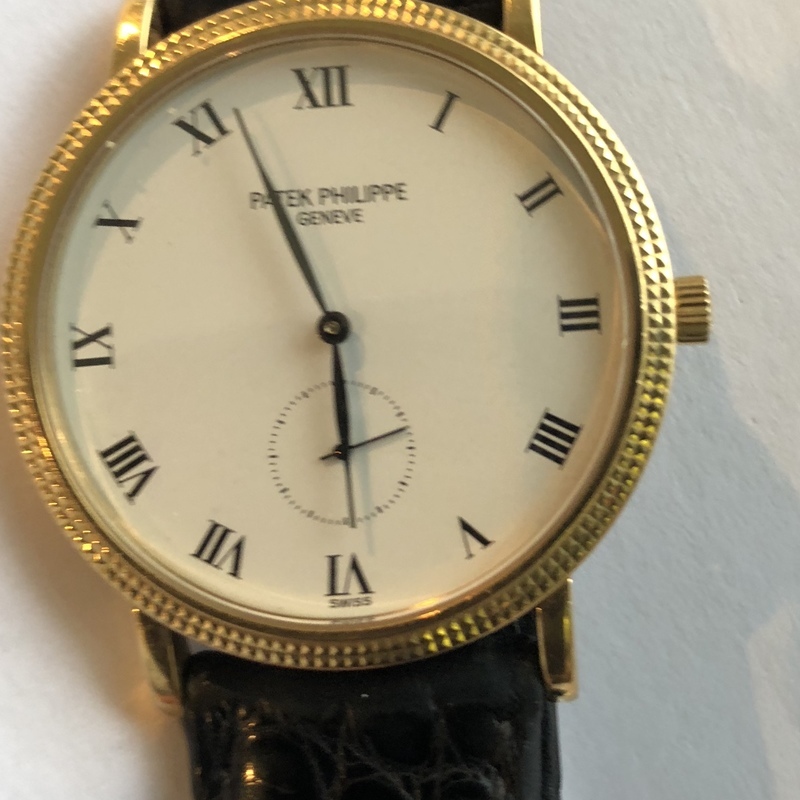 For the sake of this evaluation, I'll make the assumption that this watch is authentic, currently in good working order and in an 18k gold case and does not include the presentation case or paperwork. All those things being true, similar wristwatches average between $4500USD and $5500USD when sold at auction. Thank you for submitting to Mearto.